Database dump is a text file containing a set of SQL statements that need to be run on an SQL server to create a database with the entire internal structure and fill it up with values. Basically, it is a type of backup that is made on “logical” level and can be used to restore database contents after a data loss event. Unlike “physical” backup of the DBMS binary files (that are exclusively used by server and can’t be copied without stopping it), database dump is created via interfaces provided by the database. The Small Server edition of our program allows creating MySQL database dumps, as well as backing up Oracle, IBM DB2, MS SQL and other databases. Download full-featured trial version - it’s free! Hot backup. In commercial environments, each minute of server downtime may incur thousands of dollars in direct and indirect losses. 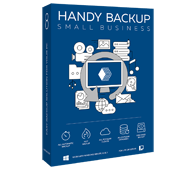 The hot backup technology implies that the backup can be made in live mode, without pausing the server. In the following video tutorial you can learn how to back up and restore MySQL databases with Handy Backup. Our software has a number of advanced plug-ins designed for backup and recovery of different databases. While all of them support hot backup, there is only one, MySQL Backup, which can create database dump files. We welcome you to try it right now - it’s easy to set up and use! The glossary contains 178 terms. The current section Databases contains 18 terms.